Losing a dog is a devastating event. Ask anyone who's been through the horror of not knowing where their beloved pet is and they'll recite you a tale of sheer hell, suffering and misery. Sadly, dog theft is on the rise in both the UK and USA. It's a growing crime with a growing band of opportunist criminals seeking to exploit dog owners. 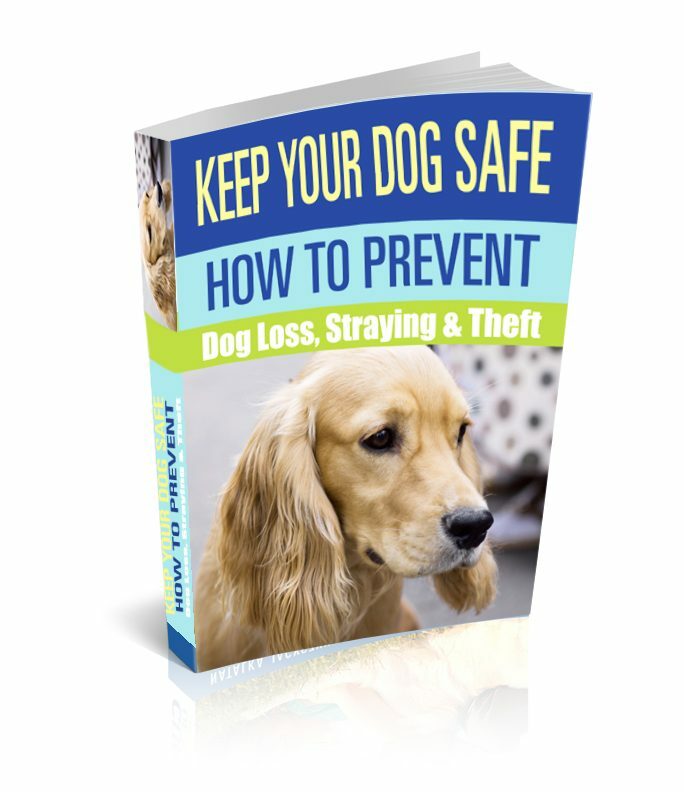 In this eBook, we take a look at what dog owners can do to prevent dog loss through theft or straying. We cover the laws, the rising trends and even include a bonus chapter on what to do should your dog go missing in a foreign country. Research from Direct Line Pet Insurance has shown that almost one in 20 dog owners who have lost their pet (four per cent) believe it was stolen. More than a third (39 per cent) say they are worried that their dog will be snatched. Awareness of this pet crime is at an all time high, particularly following the recent suspected theft of Liz Hurley’s puppy, Emily, and Engelbert Humperdink’s German Shepherd, Charnie. As a result, just under half (48 per cent) of those surveyed have fitted their dog with a microchip to make sure they can keep track of their movements. Others are taking more traditional precautions, with a quarter of owners (22 per cent) admitting they never let their dog off the lead for fear of them being snatched and 13 per cent never venturing out with their pets after dark. If their dog was taken though it would seem that money is no object when it comes to its safe return. Dog owners are prepared to offer an average reward of over £450 to get their stolen dog back. Londoners would offer the most and are willing to pay a massive £714 for their dog’s return, with people from Wales prepared to pay the least, at just £203. Some owners would go to extreme lengths to retrieve their pet. Ninety five per cent would take the matter to the police and close to one in 20 (four per cent) say they would hire a private detective to hunt for their favourite pet. The lengths dog owners would go to reflect the bond they have with their four-legged friends. More than two thirds (68 per cent) said they would be devastated if they didn’t have their pet, with 61 per cent comparing the loss to losing a friend. A quarter (28 per cent) revealed they could not imagine life without their pet. Roxi, a Staffordshire Bull Terrier puppy, was hand-reared by the Sampson family from five-weeks-old, but at just twelve weeks she was stolen from her home by thieves masquerading as door-to-door salesmen. They came to the front door selling tea towels as a distraction before making off with the puppy from the back garden, in clear view of on looking neighbours. This report is free for K9 Magazine Premier members. If you can't see the download link below you need to log in as a member.